Most US feminists associate Rojava—the majority Kurdish region of northern Syria—with pictures of women guerrillas. But other leftwing movements in the past have had women members and even women soldiers. What makes the Kurdish women’s liberation movement different? On March 22, we will explore that question with a short film followed by two presentations and open discussion. “Syria: Rojava, the Women’s Revolution.” This 25 minute documentary, directed by Maylene Sauloy, was first screened in November 2018 by arte.tv, a Franco-German and EU TV channel. 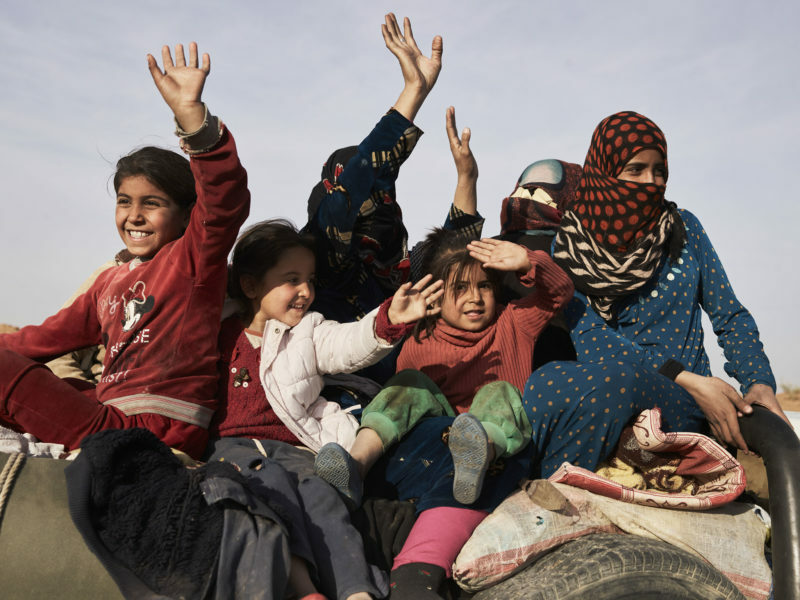 The film interviews women and shows the changes they are putting in place in several different parts of the autonomous region also called the Democratic Federation of Northern Syria. Ozlem Goner, an Assistant Professor at the Department of Sociology and Anthropology at the College of Staten Island, CUNY, is the author of Turkish National Identity and its Outsiders: Memories of State Violence in Dersim, (Routledge, 2017). She will discuss the history and politics of the Kurdish women’s liberation movement in Turkey and Syria. Meredith Tax, a writer and feminist organizer since the late Sixties, is author of A Road Unforeseen: Women Fight the Islamic State (Bellevue Literary Press, 2016). Active in Bread and Roses, the Chicago Women’s Liberation Union, CARASA, and global networks of feminist writers, she will discuss US implications of the ideas of the Kurdish women’s movement. This event is free and open to the public. It is sponsored by the Emergency Committee for Rojava and the Center for Place, Culture and Politics. This entry was posted in Discussion, Events, Film Screening and tagged democracy, Liberation, Rojava, social movements, Syria, women by Esra Padgett. Bookmark the permalink.